 API Gateway is a high-performance, high-availability, and high-security hosting service that helps enterprises build, manage, and deploy Application Programming Interfaces (APIs) at any scale. With just a few clicks, you can implement system integration, offer your partners open capabilities, and monetize well-developed services. API Gateway also helps you minimize costs and risks. Starting from ¥0.03 per 10,000 API calls. Allows you to create an API with just a few clicks, debug it using an inline debugging tool, and publish it in different environments for iteration checking and testing. Provides a visualized API monitoring panel for identifying potential risks that can affect services. Protects your APIs through identity authentication and permission control, and protects your backend services by offering quota management and throttling user requests. Allows you to create and manage APIs for free, while paying only for API calls and data transfer services. Requires no minimum charges or upfront commitments, and quickly monetizes your APIs. Use standard APIs to decouple internal systems, separate frontend applications from backend service systems, and reuse existing capabilities to avoid wasting resources. Register RESTful APIs that conform to the OpenAPI Specification. Uniform APIs are provided for accessing different service systems within an enterprise. API Gateway makes it easy to quickly interconnect service systems with each other, freeing you to focus on the development of your core business. Provide open capabilities for partners. Sharing services and data with partners deepens cooperation and helps build a new ecosystem. Open service capabilities extend the influence of your enterprise in the industry. Share your services, capabilities, and data with partners to strengthen cooperation. Through capability sharing and cooperation, continuously iterate and improve services to build a new ecosystem and expand competitiveness. Package service capabilities into standard APIs and monetize APIs on the marketplace, reducing R&D investment and improving operation efficiency. Monetize well-developed capabilities by opening them to developers. Purchase well-developed services and capabilities from third parties to reduce your R&D investment. Focus on the development of your core business. Define RESTful APIs and bind them to backend FunctionGraph. Linear scalability and support for millions of concurrent requests. Latency of less than 2 ms.
Interconnects with FunctionGraph without requiring any modifications. Allows you to build, manage, and deploy APIs at any scale. Implements refined request throttling to protect backend services. Makes it easy to quickly build, manage, and publish secure APIs, enabling you to offer open service capabilities with high efficiency. Allows you to beta-publish an API in different environments for dark launching, while meeting version upgrade and rollback requirements. Provides a simple inline debugging tool to minimize API development time and reduce maintenance costs. Provides fine-grained request throttling on APIs for different service demands and user levels to ensure backend services can run stably. Request throttling is accurate to the second, and can be set to the minute, hour, and day, as applicable to high-concurrency scenarios. Provides real-time, visualized API monitoring, allowing you to identify service risks. With API Gateway, you can monetize service capabilities by publishing your APIs on the marketplace. A real-time, visualized monitoring panel helps you understand how APIs are called. Data analysis reports and intelligent analysis will be available soon, by subscription. You can specify the domain name of a backend service, to which API Gateway will automatically forward requests. Variables of an API are replaced by values of the environment in which the API is published. The API definition remains unchanged. Through the API marketplace, offer service capabilities to partners and third-party developers in the form of standard OpenAPIs. By interconnecting with partners' service systems and deepening cooperation with them, you can build a new ecosystem to monetize service capabilities and increase revenues. Select APIs must undergo strict quality control; they can be distributed through direct sales and channel sales to boost data traffic.